The 15th World Elite Young Leaders Summit and 2018 London China Forum will be held in London, England, to discuss the cultural interaction between China and Western countries. This will be analysed and disscussed in October by professionals who have deep research in the Chinese cluture, organised by the Big Ben Award Committee, British Chinese Youth Federation, Commonwealth Young Leaders Chamber, The Fiji-China Friendship Association, UCL Tea Society, UCL Elite Leaders Society, etc. The 2018 London Declaration and Action Plan will be adopted at the summit and forum. If you are planning to invest in China, enter the Chinese market, or do any co-operation with China and the Chinese, understanding the culture is one of the most important issues. The invited speakers include Chinese Founder of Big Ben Award Yinya Jonsson LI, Chairman of the Trustee Board of The European-Atlantic Group Justin Glass, The Deputy Director of News Department of Phoenix TV and 2016 Big Ben Award Outstanding Chinese Young Persons Prize (UK & Europe Area) Le LI, President of The Inter-Cultural Society Fujisawa Asako, etc. 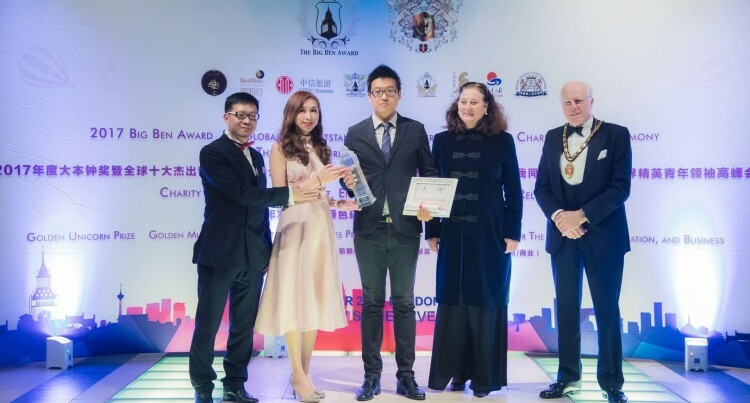 Member of the board of directors of the Fiji-China Friendship Association, Fiji’s only Big Ben award winner Michael Honglian Yang said: “We are still committed to holding the Big Ben Awards ceremony in Fiji in the future. This is a good opportunity to increase the visibility of Fiji. “Will also bring a model of learning to our youth. This will also deepen the friendship between Fiji and China. World Elite Young Leaders Summit has been held for more than 15 years. It has been held previous held in Paris, Beijing, London, Hefei, Fuzhou, and other cities.